On April 25, 2019 CASPA (www.caspaonline.org) will open for applicants to apply to our PA program for the class starting in fall 2020. Application deadline for this PA class is March 1, 2020. A supplemental application is required of ALL applicants to the South College PA Program. This is in addition to the CASPA application. Your application to South College is not complete, and cannot be processed until we receive your supplemental application. There is a $95 application fee. Students will need to submit supplemental applications and pay the associated fees for each campus they apply to. *There is a $95 application fee (made out to South College) that must accompany the supplemental application. 1 Completion of a baccalaureate degree (Science, Nursing, Health Science recommended) from a regionally accredited college or university in the United States, prior to matriculation. 2. Documentation of the following – Overall college cumulative GPA of a minimum of 2.75 on a 4.0 scale, completion of all prerequisite coursework with a cumulative GPA of a minimum of 2.75, and completion of all science prerequisite coursework with a cumulative GPA of a minimum of 2.75. 3. 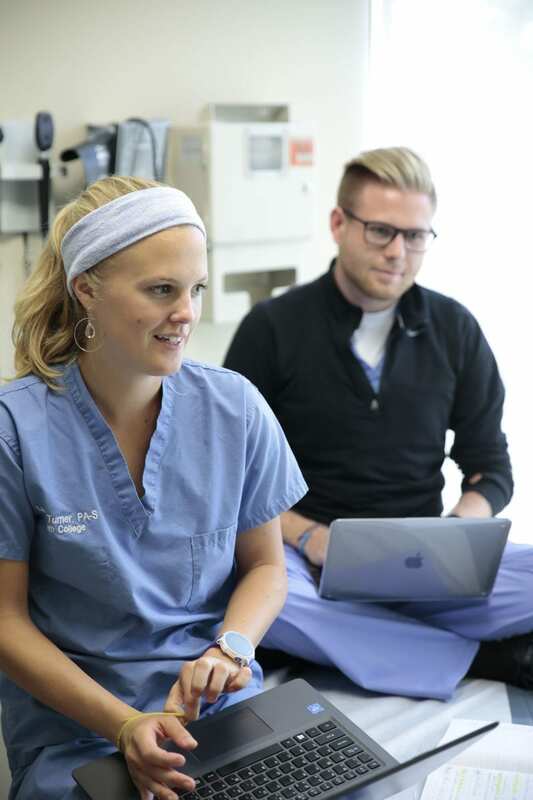 Applicants are encouraged to obtain patient care experience, sufficient to recognize the physical and psychological demands of dealing with patients and to appreciate the challenges and rewards of being a health care professional. Health care experiences should provide the applicant with a knowledge and/or orientation to the signs and symptoms of a variety of ill or injured patients. Health care experiences will be evaluated on an individual basis, with an emphasis on direct patient care. 3 letters of recommendation one from a health care professional such as a Physician (MD or DO), Physician Assistant, or Nurse Practitioner. 5. Completion of the Graduate Record Exam (GRE). The GRE code for The School of Physician Assistant Studies is: South College, Atlanta: 4173. Please note that until your GRE is marked as official in CASPA we do not acknowledge the scores. We do not accept MCAT scores as a substitute. 6. Current Basic Cardiac Life Support (BLS) from the American Heart Association is required upon matriculating in the program. (BLS classes will be offered during orientation) Most clinical sites do not recognize other institutions. NO SUBSTITUTIONS ARE ALLOWED. Strongly suggested courses include: Genetics, microbiology, immunology, organic chemistry, biochemistry, and other advanced biology or chemistry courses. 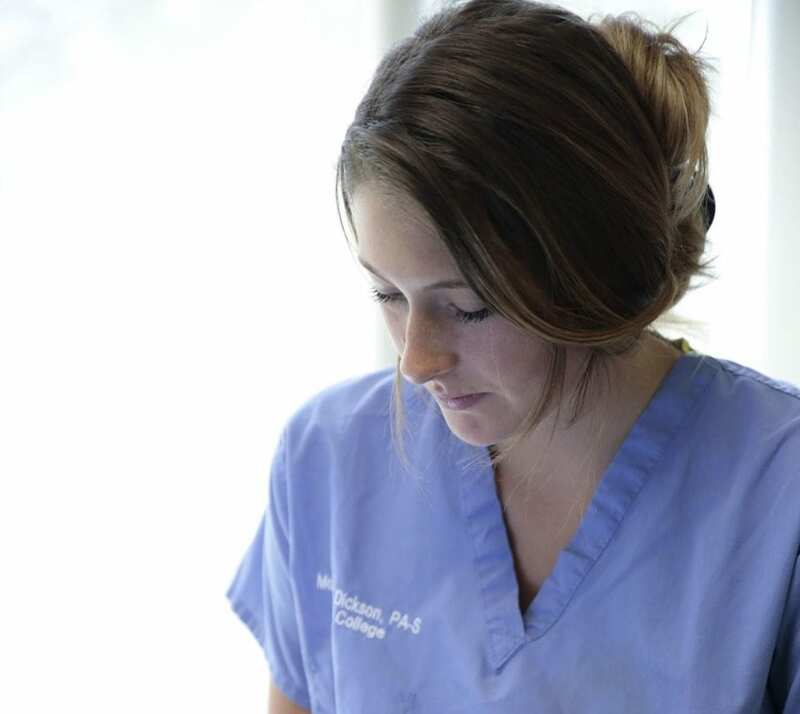 Selection for the Physician Assistant program is very competitive. It is anticipated that the successful applicant will generally exceed the minimum criteria for consideration for admission. Applications are reviewed relative to undergraduate cumulative and pre-requisite course GPAs, health care experience (military or civilian), letters of reference, and GRE scores. Additional consideration is given to applicants with military medical experience. Personal interviews with the principal Physician Assistant faculty, practicing Physicians, and Physician Assistants from the community will be required for final admission and will be offered only to the most qualified individuals. 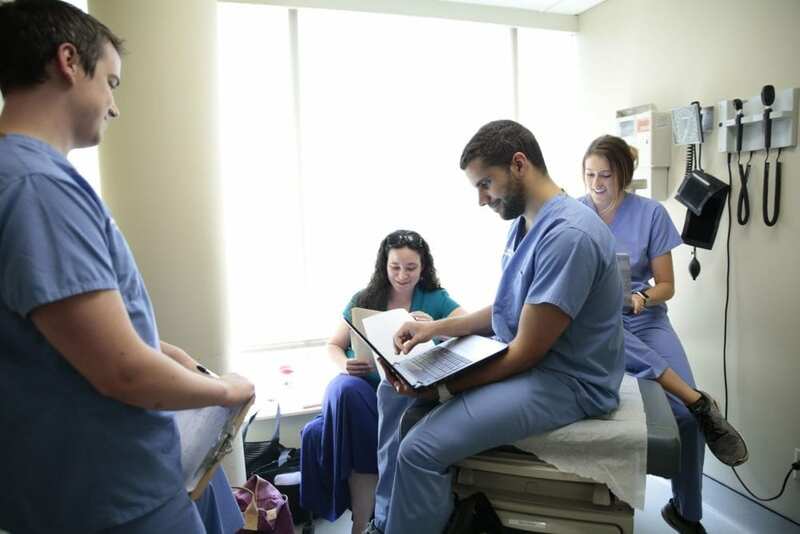 The South College Masters of Health Science Physician Assistant Studies Program participates in the Central Application Service for Physician Assistants (CASPA). CASPA provides a web-based service that allows applicants to submit a single application to multiple participating PA programs. All official transcripts, GRE Scores (Atlanta Code 4173), and letters of reference are sent directly to CASPA as part of the application process. Please visit CASPA at http://www.caspaonline.org/ for more information on how to apply for admission. We encourage you to visit CASPA’s Frequently Asked Questions section for answers to most common questions. If you have not completed all required coursework at the time of your application with CASPA, any official transcripts including recently completed course work will have to be mailed directly to South College PA Program. WE WILL SEND YOU AN EMAIL CONFIRMING YOUR APPLICATION ONLY WHEN YOUR APPLICATION IS COMPLETE (CASPA, SUPPLEMENTAL APPLICATION WITH APPROPRIATE FEES AND GRE SCORES RECEIVED). Applicants with incomplete applications or applications that are not completed by the published deadline will not be considered. You will be contacted if you are selected for a personal interview. GRE scores are sent to CASPA and received by South College Physician Assistant Program through your completed CASPA application. It is the applicant’s responsibility to make sure their “Official” GRE scores are included in their CASPA application. Our GRE school code is Atlanta 4173. Applicants to the program should be aware that all courses within the professional didactic and clinical curriculum are required. 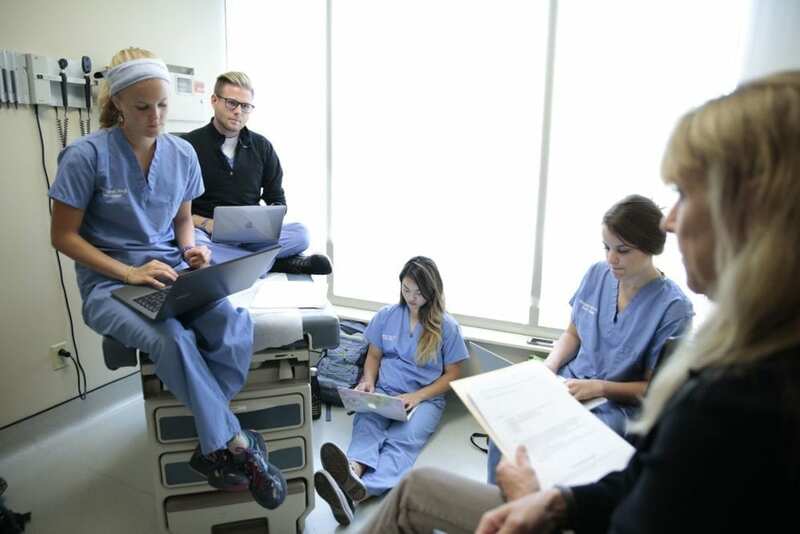 The Masters of Health Science Physician Assistant Program at South College does not recognize international medical experience, or transfer credits from another Physician Assistant Program or Medical School.